Click here for pre-sale tix! 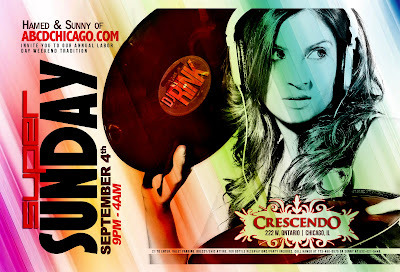 Special guest, Mumbai's Celebrity Female Artist, DJ RINK returns to Chicago over Labor Day Weekend like she did last year at Griffin Lounge! Click here for pre-sale tix! On-sale now! 21 to enter. Valet parking. No gym shoes. For bottle reservations, call Hamed @ 773-490-0975 or Sunny at 832-421-5446.